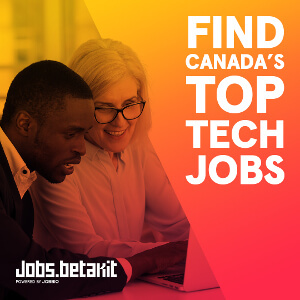 According to a new report by the Business Development Bank of Canada (BDC), Canada’s labour shortage is the top reason business owners will hold back on investment this year, with dollars shifting from tangible goods to new technology, R&D and IP. The report surveyed over 4,000 business owners and entrepreneurs to assess their investment outlooks and intentions for 2019. 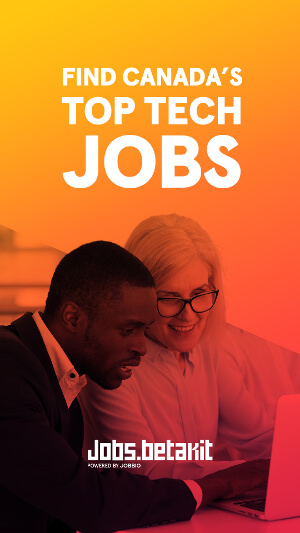 Although the report found that business optimism remains stable across Canada, with 73 percent of small and mid-sized enterprises (SMEs) expecting their revenues to grow in 2019, compared to 72 percent last year, over half (53 percent) say the labour shortage will cause them to limit business investment in 2019.
Business owners reported that demographic changes in Canada will make chronic labour shortages worse over the next decade. In a previous report, BDC found that SMEs are struggling to find new employees, and this problem is not expected to improve. The report also found that despite business owners’ stable outlook, optimism will fail to reflect higher capital spending for 2019, because the number of entrepreneurs who want to reduce spending (32 percent) offsets those planning to increase spending (31 percent). 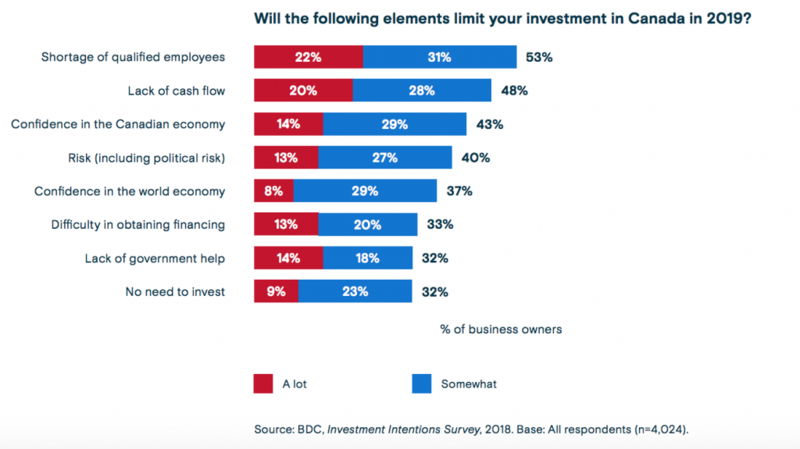 Other investment obstacles include insufficient cash flow for 48 percent of business owners, and dwindling confidence in Canada’s economy, with 43 percent saying it will limit investment. The findings of the report suggest nearly half of business owners will spend money to adopt new technologies in 2019, and they will invest primarily in intangible assets, such as IP, R&D, digital software, and employee training, representing a major shift in investment patterns. A quarter of businesses that will earmark all of their investment for new technologies expect revenue to increase by 20 percent or more this year, compared to only a tenth of firms that will allocate their investment elsewhere. According to the report, over 40 percent of businesses will spend some or all of their investment to adopt new technologies. The proportion rises to over 50 percent for young entrepreneurs, exporters, high-growth companies, mid-sized firms, international businesses, start-ups and technology companies. 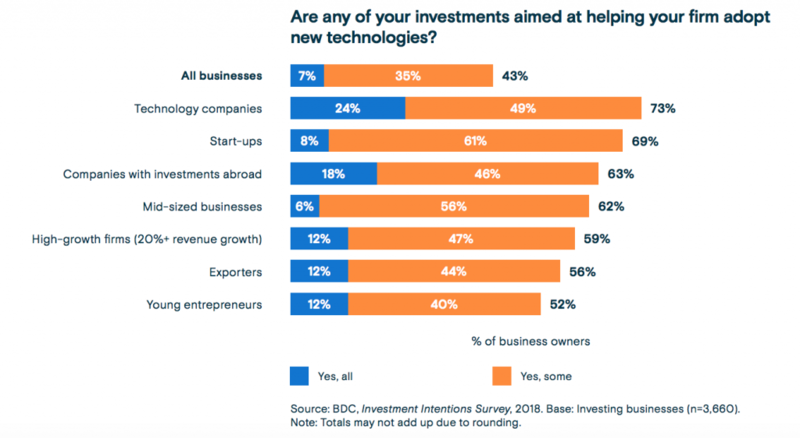 Significantly, BDC believes that 10 percent of entrepreneurs will account for 71 percent of total capital spending in 2019, indicating just how much large projects from a small cadre of entrepreneurs can impact total small business investment estimates. Read the full BDC Investment Intentions report here.